Bit by bit, Skorca! grows. I like it better now that I have the blues facing the right way. 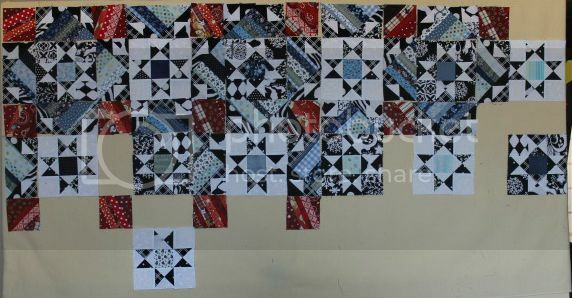 I've been catching up on it in between my sister's Hunter's Star blocks - one day I'll do a bunch of QSTs, then assemble some Ohio Stars, then work on the blues. The one thing I haven't worked on in a while is the red, since it's paper piecing. I know, I need another quilt-a-long like I need another hole in my head. That's why I have double pierced ears, people. 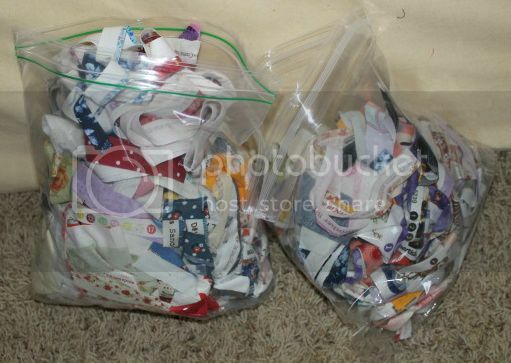 And I have two bags of selvages. Two string blocks a week for 40 weeks? No problem! In fact, that, plus the red block in Skorca! 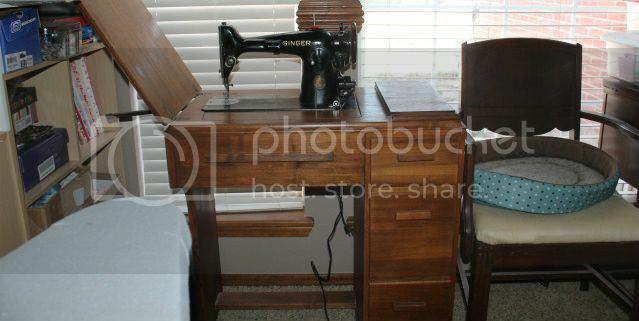 and the St. Paul's Cross blocks, means I'm finally going to set up my Centennial Singer for full-time paper piecing. This way I won't have to change the stitch length and needle every time I want to do a block. And, bonus with the quilt room move, the ironing board is the grey on the left, which is so much better than its former hallway locale. But it does mean the cat's chair is moving somewhere else.